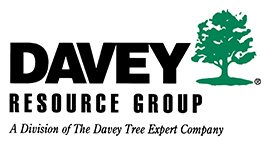 The Thursday and Friday Tree Conference and Trade Show that includes educational tracks for Commercial, Municipal and Utility Arborists, an awards luncheon, networking socials, receptions and more. And the Friday Tree Schools for English and Spanish-speaking tree workers. Auction items are needed to raise funds for research and scholarships. contact April Rose if you can help out. Click on the above links for discount rates before September 5, 2017! 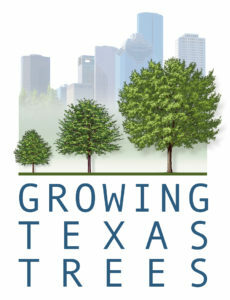 At this years Texas Tree Conference and Trade Show, we will continue our history of providing outstanding education programs featuring nationally known speakers, the latest in tree research and arboriculture, an expanded trade show, an awards luncheon, and numerous networking opportunities. 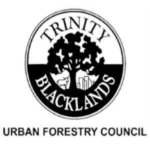 Learn from national leaders in research, commercial and utility arboriculture, urban forestry and landscape architecture. Featured speakers include: Dr. John Ball, Professor, South Dakota State University, Dr. Jason Vargo, Professor, University of Wisconsin, Madison, Dr. Jason Miesbauer, Arboriculture Scientist, The Morton Arboretum, Lisle, Illinois, Dr. Jason Gordon, Associate Extension Professor Community Forestry, Mississippi State University, Dr. William F. Elmendorf, Associate Professor Community and Urban Forestry, Penn State University, Dr. David Appel, Professor, Dept. of Plant Pathology and Microbiology, TAMU, College Station, Eric Kuehler, Science Delivery/Technology Specialist, USDA Forest Service, Athens, Georgia, Dr. Gretchen V. Pettis, Entomologist, Bartlett Tree Research Lab, Charlotte, North Carolina, Nathan Morrison, Co-owner, Arborscapes, Pineville, North Carolina, Guy Meilleur, Better Tree Care Associates, New Hill, North Carolina, Jim Cruser, Region Supervisor, American Electric Power Transmission, Corpus Christi and others! Panel: What is Your Urban Forest Management Philosophy? How Have NERC Rules Changed the Growth of the Industry? What’s Next? How many times are you asked, what’s wrong with this tree? This can be both your favorite question and your hardest question. We have designed a full day of discussions to comprehensively address the topic of tree and landscape diagnosis from four different perspectives. These are clinical approaches to plant disease diagnosis, the science behind tree response to pathogens and symptom development, diagnosis in the field for the commercial arborist, and an entomologist’s view of identifying insect issues. The four areas will be covered in concurrent sessions so that there will be the opportunity for interactions with the experts. A great review or introduction to basic tree care for tree workers. This newly redesigned, stand-alone one day workshop that will be a combination of classroom and field demonstrations. Topics covered will include basic tree biology, tree pruning, climbing techniques including advanced ascent techniques (SRT), tree hazard assessment and job site safety. 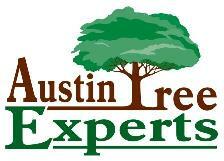 Master instructors are Guy LeBlanc, Arbor Vitae Tree Care and Brad Hamel, Texas A&M Forest Service. A Spanish language workshop covering tree biology, soil science, tree selection, installation & establishment, pruning, and diagnosis & plant disorders. The class will be led by Mark Duff, Consulting Arborist, Adolfo Sanchez, FOS Tree Care, Guadalajara, Mexico and Bill Green, Texas A&M Forest Service. Texas Outdoor Power Equipment Dist. For a view of the 2015 Conference, visit our old website here.